So maybe you read my blog from yesterday, and a question pops up in your mind. You think "OK, if attaining optimal health is such a deep matter of personal integrity, what took you so long to do something about it?" Short answer: I didn't know how. I lacked the tools. I had no clue how to get it done. Look, I've always wanted to be fit and healthy; I've always wanted to have the energy I needed to keep up with my family and pursue my interests; I've always felt inner conviction about letting myself go. But until recently, I never knew how to address the issue without having to master complex nutritional theorems and/or execute rigorous hours-long workouts in the gym. Some people are built for that kind of life. I am not one of them. Thinking about the Wants and the Whys was too painful because I didn't have the How. Without tools I could use, my longing for health never got past the wish stage. Instead, I ignored my convictions and stuffed my feelings (into billowy shirts & pleated pants), hoping that someday maybe something would change and my body would somehow just kinda, I dunno, get more healthy on its own. Maybe? Hope is not a strategy, people. No one is coming to bail you out of you. It wasn't until I got a Health Coach and started to adopt the Habits of Health that I've been able to make optimal health a reality in my life. Now I want to help you. 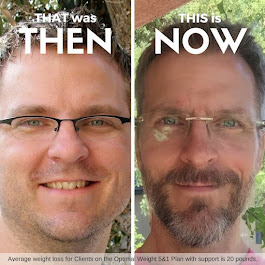 If you long for optimal health in your life but have been frustrated in your attempts to achieve it; if you've learned to ignore your convictions because it just seems overwhelming; if you've stuffed your Wants & Whys because you can't figure out the How, contact me. I am a FREE Health Coach with Take Shape For Life, and I can help you get it done.